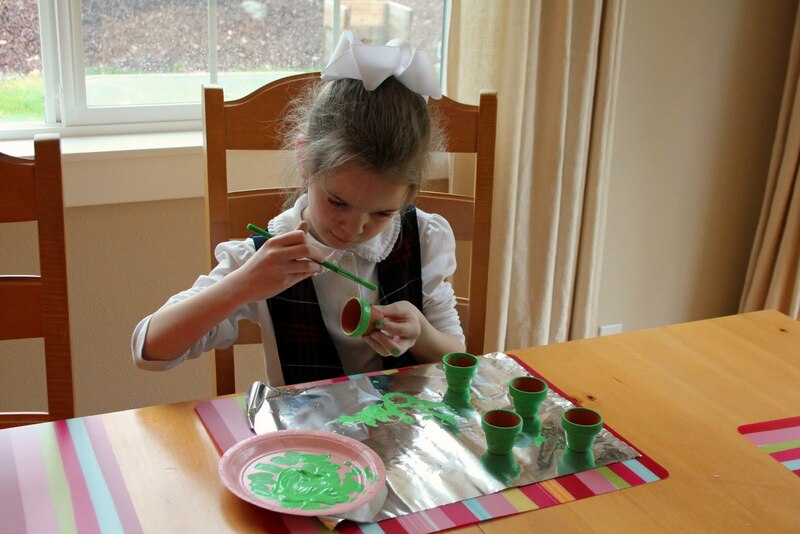 Yesterday afternoon my little girl and I took some time and made a few small St. Patrick's Day gifts for her teacher and other key people at her school. I found a great tutorial for this project at Inspiring Creations and was able to find most of the supplies (except for the candy and little pots) in my stash of supplies here at home. I mostly followed the instructions listed on the original blog, except I used a lollipop stick to hold up the shamrock (because I have lots of them!) and I didn't bother to glue the floral foam into the little clay pots, I just wedged it in there. 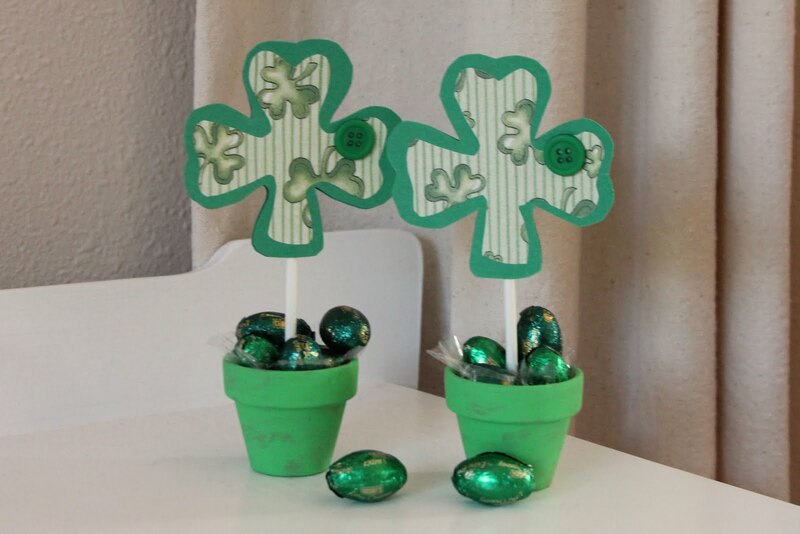 The shamrocks are hot-glued onto the lollipop sticks and my daughter wrote little messages on a second green shamrock that I hot-glued onto the back of the stick. 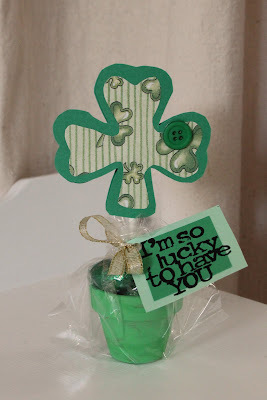 Then we packaged everything up with a cellophane bag and tied with a gold ribbon and a cute tag (that I embellished with rub-on letters from my scrapbooking stash) and her little gifts are ready for St. Patrick's Day! What a great idea! I am going to have to get my boys to do this next year!